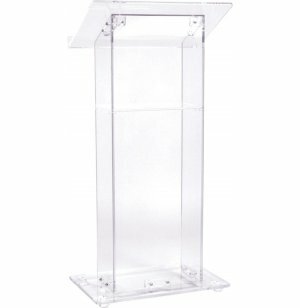 An acrylic podium helps public speakers connect with their audiences. 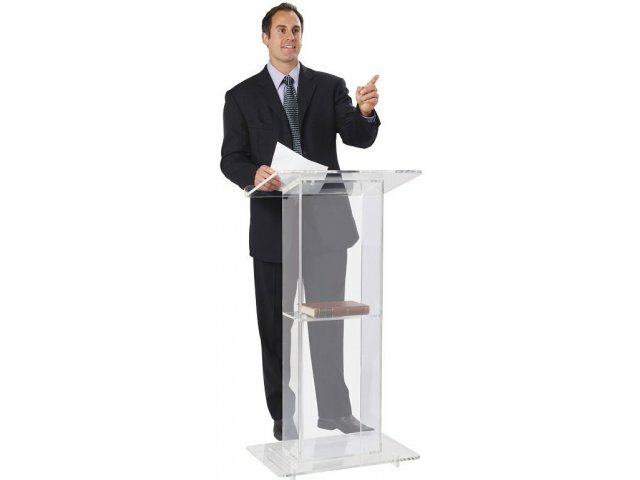 Designed from transparent plexiglass, these podiums provide all the support of a traditional lectern without becoming a barrier between those listening to a presentation and the one giving it. Choosing a light, airy acrylic design does not mean you give up on convenience. A roomy surface keeps speaking materials in order while a built in storage shelf keeps larger items within arm's reach. 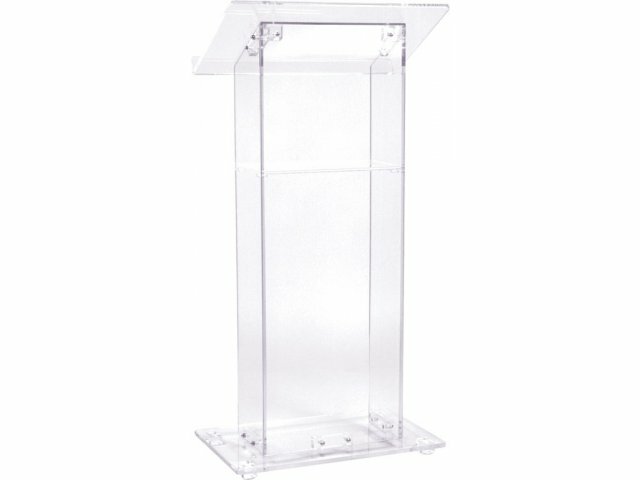 Stylish: Clear construction gives this 3/8" and 1/2" acrylic plexiglass podium a sleek and unique look. Convenient Storage: Speaker shelf (14"W x 18"D) is great for papers, books and pointers. Spacious: Reading surface is 23.5"-wide and 15"-deep. Smart-Design: Book-stop prevents papers from sliding off during lectures and presentations. Versatile: Appropriate for businesses and schools, this podium will look great in any office or auditorium. 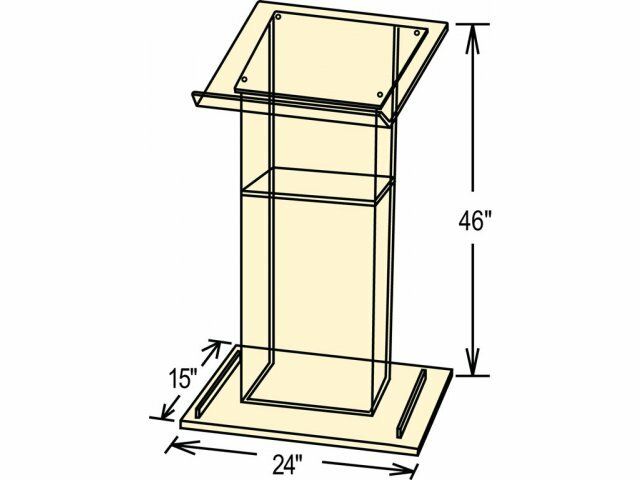 Easy Assembly: This lectern is up and ready for use in no time.